Let the sound of running water soothe your soul as you take refuge from daily life in your backyard or garden. The splashing sound of a garden fountain is a great way to center you and prepare yourself for the stresses of daily life. 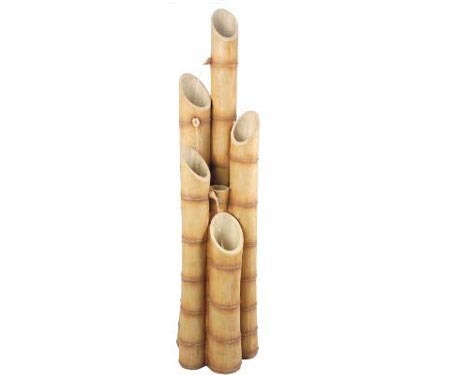 This handsome bamboo waterfall will help you return to the daily grind of life refreshed and rejuvenated after taking some time for soothing meditation and relaxation in the privacy of your own backyard. The soft splash of an outdoor garden waterfall will entice your guests, while adding style to your garden or pond.